The number of people prosecuted for barbaric cruelty to badgers, including baiting, has almost doubled in 5 years. The data, obtained through a parliamentary question, reveals 58 people were prosecuted in magistrate’s courts under the Protection of Badger Act in 2011 – a figure that has steadily increased from 30 in 2007. This fact indicates our worst fear; that the government’s policy to cull has effectively opened the doors to increased levels of badger persecution and encouraged vigilante groups to get out there at night and shoot badgers at will. Although some farmers will adhere to the cull guidelines set down, many will simply take the law into their own hands and ‘arrange’ for badgers to be killed without a license – as some may have done already! Two trial badger culls are set to go ahead for six weeks every summer for the next four years and aim to reduce badger populations by 70% in the selected trial cull areas in Gloucestershire and Somerset. 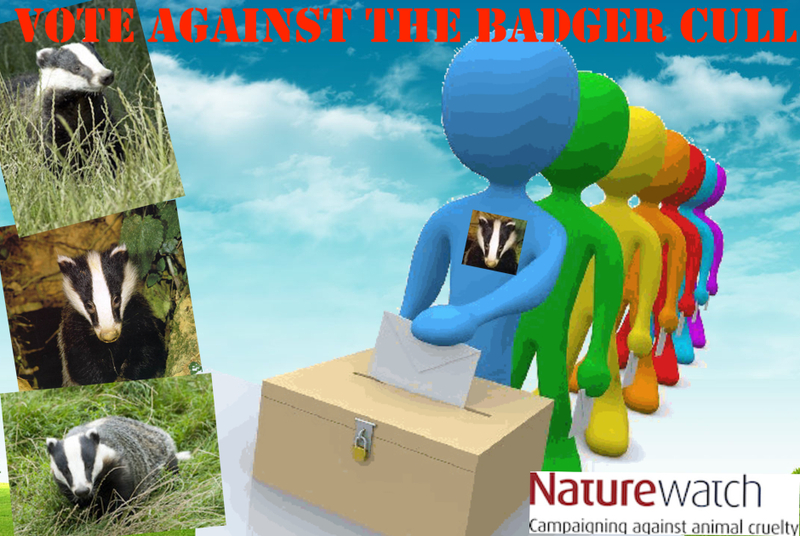 In addition to writing to your MP and Defra, the forthcoming local elections on Thursday 2nd May are a great opportunity for you to speak up for the badgers. Labour is against the coalition’s policy to cull, arguing it will cost more than it saves, put strain on police resources and spread TB as badgers flee into previously uninfected areas. If you care about badgers please vote Labour on this occasion and help send a strong message to the coalition that we’re not going to sit by and let them exterminate England’s badger population. Elections will be held in 35 English councils, 29 of which are currently controlled by the Conservatives! An election will also be held on the Isle of Anglesey in Wales, and two elections for directly-elected mayors in Doncaster and North Tyneside. If you are eligible to vote, you should have already received you Poll card.